The Boys & Girls Club of Indianapolis recently celebrated 25 years of including girls in the club. At Finish Line, we are also celebrating girls through our #WeAreMore campaign. 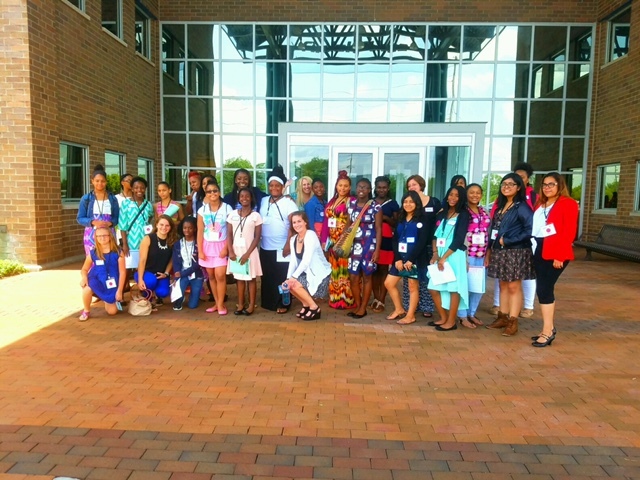 The Youth Foundation partnered with Finish Line’s Women’s Leadership Program to participate in “Take a Girl to Work Day.” The girls, along with 18 Finish Line mentors, bonded over lunch and an in-depth tour of our corporate office including our distribution center and customer care area. After touring our office, they were mentored one on one by various female professionals throughout the organization. To conclude the day, the girls heard from a panel of female leaders who shared their inspirational stories and what a “day in the life” our employees is like. We learned that like our female community, the girls from the Club are versatile, constantly moving, achieving and changing. 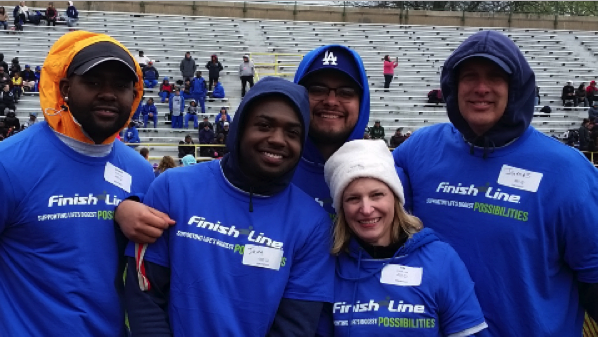 Jessica Lane, an employee of 15 years started at Finish Line as a Sales Associate working her way up to a Store Manager and then Learning and Development Partner at Customer Central. Today, her title is the Manager of Organizational and Leadership Development focusing on performance management, goal setting, development plans, High Potential Leadership and Women’s Leadership Development. “This day was very special and one that left an imprint on my heart. Getting one on one time with my mentee was the part of the day that I enjoyed most. It was great getting to learn about her family, school experiences and what she wants to be when she grows up,” said Lane. 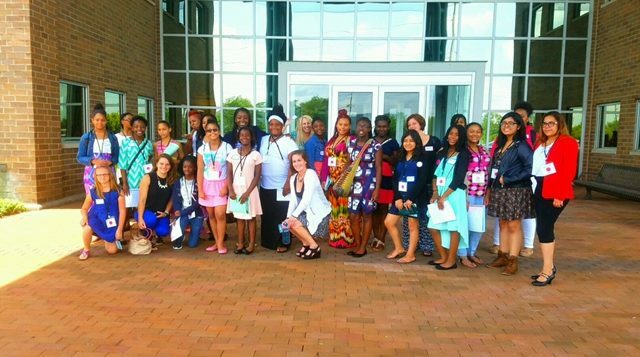 Throughout their time at our headquarters, the girls asked thoughtful questions and learned the values of being a strong female inside and out. Check out coverage of the day from the Indianapolis Star via photos and this story. At Finish Line, we empower female leaders and hope the girls who spent time with us left feeling inspired to achieve greatness. #WeAreMore than fashionistas. #WeAreMore than athletes. #WeAreMore than what others think we are. #WeAreMore than the labels that have been given to us. Five years ago, we set out to support life’s biggest possibilities with our national partner, Special Olympics. In our first year, we started in three markets – Chicago, Atlanta and Indianapolis. 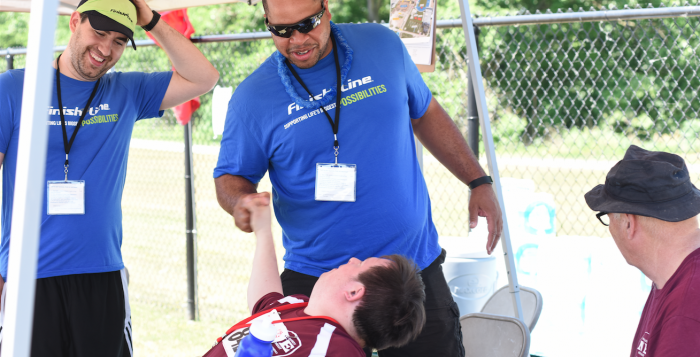 Today, our Finish Line family volunteers with Special Olympics programs across the entire country. Every opportunity we get to volunteer with Special Olympics is wonderful and this year it’s all about #High5For5Years! This summer, we kicked off volunteering in Chicago. 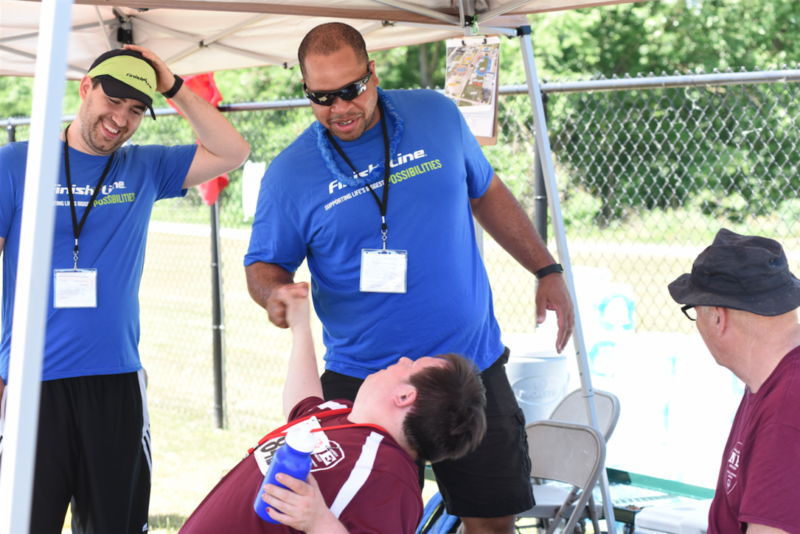 Our volunteers helped position athletes for races and escorted them to and from the races to awards. Down south, our Atlanta team brought a whopping 34 volunteers out for the Georgia Summer Games in early June. In Boston, we had the honor of officially opening the 2016 Massachusetts Summer Games. Senior District Manager Jay Burgess and Store Manager Billy Dias took the stage to officially get the weekend started. In honor of our fifth year, we celebrated in Massachusetts by giving away five $100 shopping sprees to athletes from around the state. On the opposite side of the country in San Francisco, our team brought 23 volunteers for the Northern California Summer Games. We volunteered for the entire weekend and even gave away a few pairs of kicks. 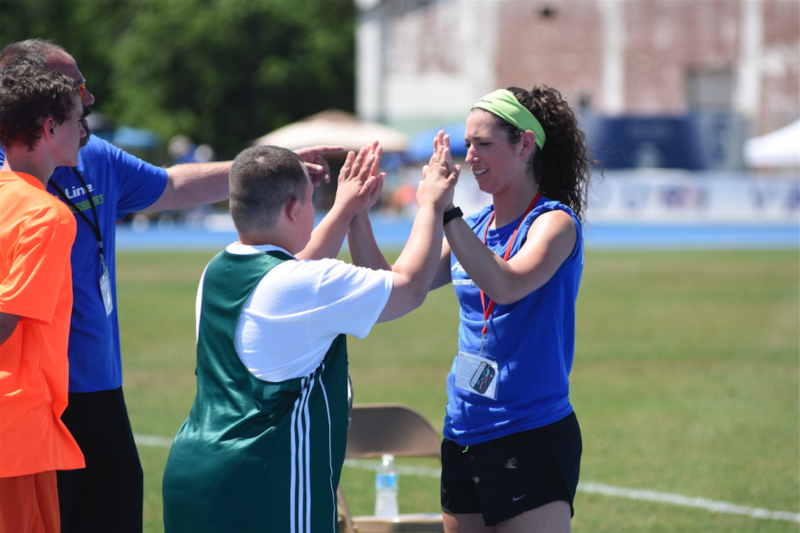 Just two hours from our corporate office, nearly 300 Finish Line volunteers made their way to Special Olympics Indiana Games in Terre Haute, Indiana. At Indiana Games, a sea of blue took over majority of the volunteer roles Friday helping with everything from aquatics to bocce to track. We brought together store, corporate, distribution center and customer central employees to deliver the epic finish for athletes from across the state. 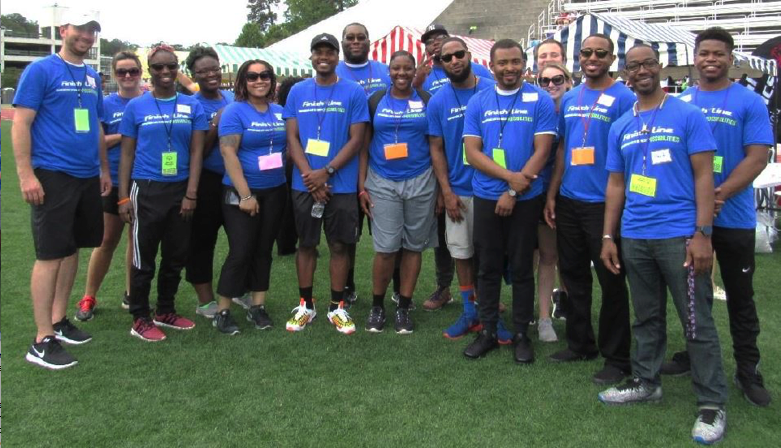 We’ve been fortunate to volunteer at many events across the country this summer and we look forward to the fall season to continue this amazing partnership. Check out the slideshow below for more pictures from volunteering throughout the summer.